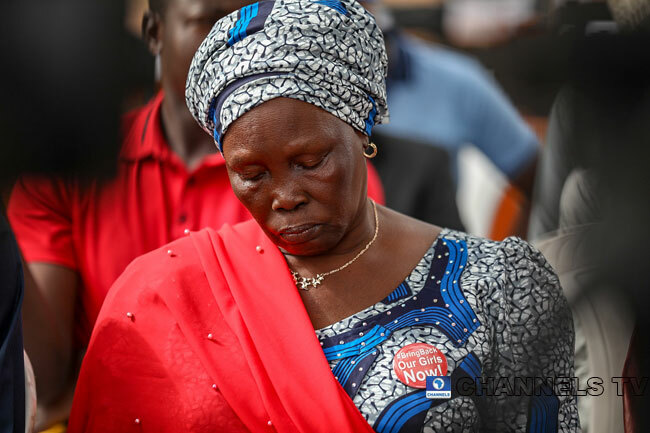 A combination of photos taken on April 14, 2019, in Abuja during the commemoration of the fifth anniversary of the Chibok abduction. Channels TV/ Sodiq Adelakun. 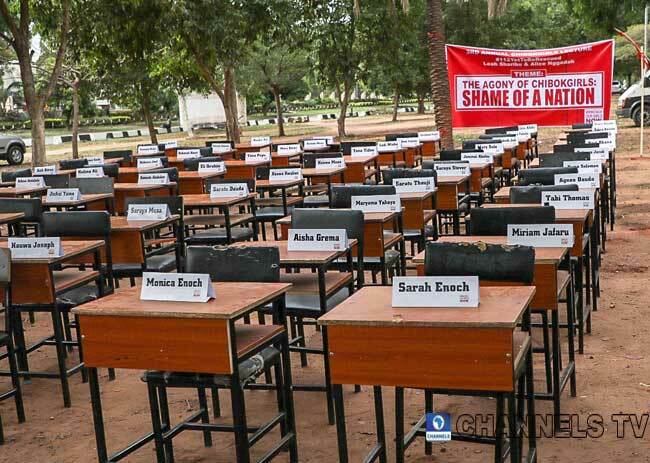 April 14, 2019, marks the fifth year since Boko Haram terrorists invaded a secondary school in Chibok community in Borno State and abducted more than 200 girls. 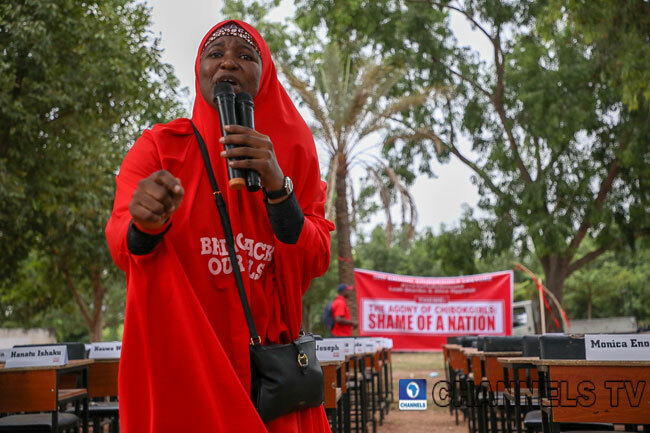 Although 107 of the abducted schoolgirls have returned home, 112 girls and Leah Sharibu have yet to regain their freedom. Leah is the schoolgirl abducted by the insurgents along with over 100 others in Dapchi, Yobe State in February 2018. The terrorists had returned the other Dapchi girls but left Leah behind for refusing to renounce Christianity. 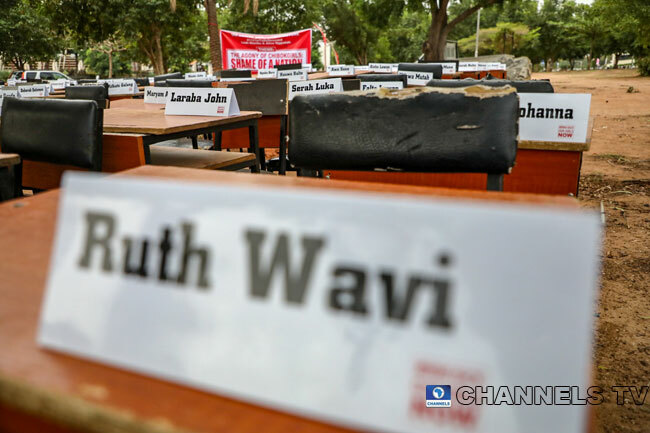 In commemoration of five years in Boko Haram captivity of the Chibok girls, members of the Bring Back Our Girls (BBOG) group set up chairs with the names of the remaining 112 girls and Leah as they hold their third annual lecture in Abuja, the nation’s capital. 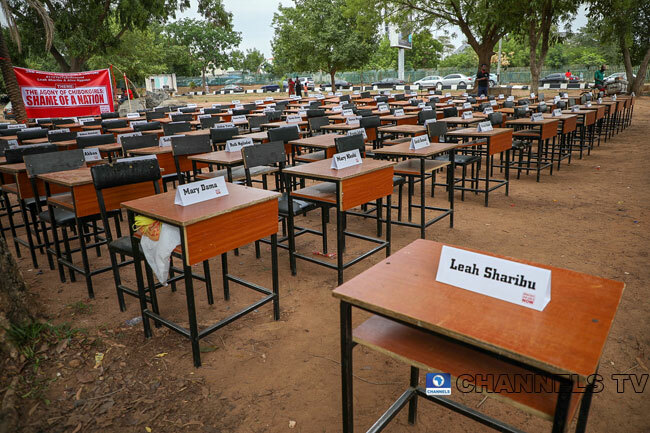 The chairs symbolise that the girls were kidnapped while in school and till this day, their chairs in school are empty. 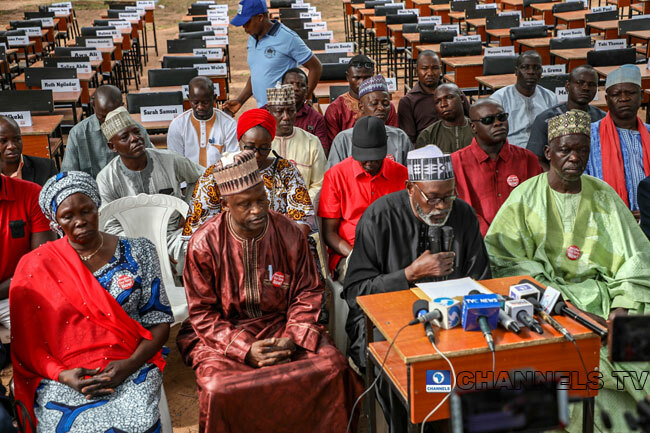 Meanwhile, the parents of the Chibok girls held another commemoration event at the Government Secondary School, Chibok where their children were abducted in 2014. 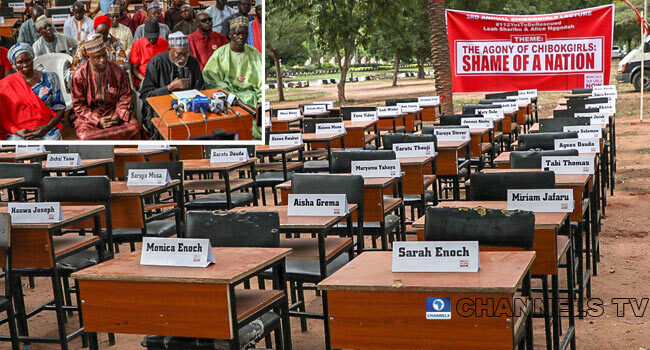 Representatives of the community alleged that they were facing “genocide type elimination” by Boko Haram insurgents. The President of Kibaku Area Development Association, Dauda Illiah, called for the Federal Government’s assistance in this regard and sought relief materials for victims of attacks. 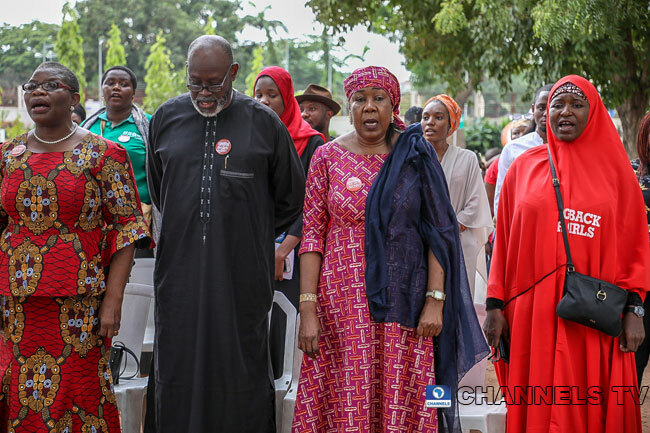 He also urged the government to build a rehabilitation centre for parents and victims of kidnappings in Chibok. He asked the government to complete the 40km Chibok-Damboa Road which said has not been completed for 40 years and has become a den of kidnappers.